Our staff speaks English, Farsi, and Spanish. 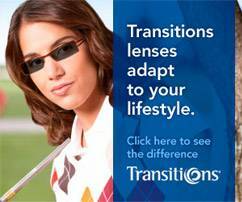 We are proud to be a Transitions Level 5 Star Partner.Learn more about Transitions lenses now. Davis Optometry Located at 1111 Kennedy Place, Suite 1, Davis, 95616, California. Phone: 530-753-2020. davisoptometry2@yahoo.com.